10 things you NEED to to know and ask if you’re getting lip fillers | SHEmazing! One glance at social media proves that lip fillers are on the rise in Ireland, and a set of perfectly pouty lips is the most sought-after new accessory. However, with the rise in demand for the procedure, it is important to be completely informed about the cosmetic choice that you are making. The action of administering lip fillers is a mostly unregulated practice in Ireland, meaning that anyone with access to a pack of filler and a cannula could hypothetically do it. However, there are major risks involved with this, and only registered doctors, nurses and dentists should be administering the cosmetic procedure. "It angers me that people who aren't medically trained don't know what can go wrong with these procedures. I have had to correct lips that are the result of unethical practice," April Kavanagh, the trained nurse behind NurseCare Aesthetics, so ask to see credentials. Lip fillers have become completely normalised thanks to social media and celebrity culture, but don't think of them as another chore to add to your beauty regimen. "Because fillers are available in beauty salons and hair dressing salons, it makes it look like these are beauty treatments when in fact they are medical procedures," said Claudia McGloin, founder of The Claudia McGloin Clinic. Properly applied lip fillers can cost anything from €300-€500, so ask yourself if you can really afford them. Lip fillers are made of a substance called Hyaluronic Acid (or HA), which naturally occurs in the body. The actual filler that is injected is a synthetic substance that mimics this, and can be found in plenty of beauty and skin care products. The substance is very safe to use as it is naturally according, making allergy rates extremely low. "Lip injections are good for anyone who wants to alter their lip shape, or just plump their aging lips," Dr Richard Swift told Good Housekeeping. However, plenty of girls come into lip aestheticians brandishing a photo of Kylie Jenner or their favourite social media influencer. While bringing a photo is fine, getting them for the wrong reasons is not. "I have absolutely turned away clients who want work done for the wrong reasons. Some people come in for a procedure, then call me up two weeks later looking to get more," said April. 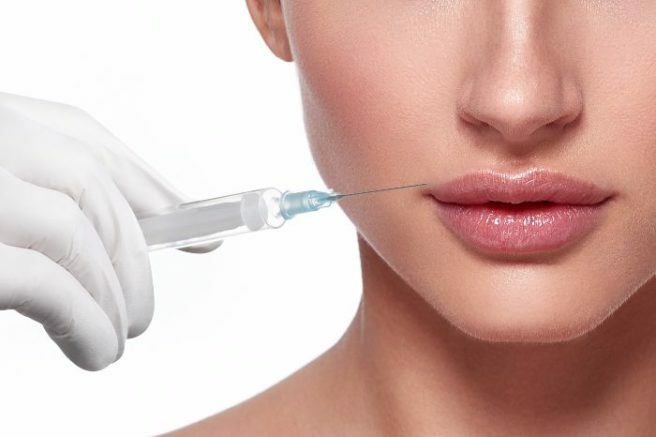 The results of lip fillers may look pretty, but the procedure can involve small amounts of blood, multiple injections and an intense lip massage after the product is injected. If the price of a deal looks too good to be true, that's probably because it is. Beware of cosmetic cowboys. Untrained administrators can buy cheap filler off the internet on the international market with no clue what's really in the syringe. Depending on your personal pain threshold, fillers can range from a mere pin prick to quite uncomfortable, though they should never be extremely painful. The lips should feel slightly tender and swollen after, with and bruising or swelling disappearing after a week. 2. If you ever get cold cores, read this! Getting fillers can trigger a cold sore outbreak if you are prone. "If you are prone to cold sores whenever you have any treatment of the lips or surrounding area it may reactivate it," said Dr Tatiana Khrom, Dermatologic Surgeon, at Real Self. "So you always have to inform your provider about your history so we can give you prophylactic treatment for the outbreak which usually involves taking a few antiviral pills." There seems to be a bit of secrecy among some influencers and celebs about the surgery status of their lips, but don't let anyone make you feel bad about seeking an aesthetic tweak. "Lip fillers are not a bad thing," says Kerry Hannaphy, who has worked on numerous clients looking for a subtle improvement in lip volume or symmetry.